What would you do for a total holistic Wellness Home? 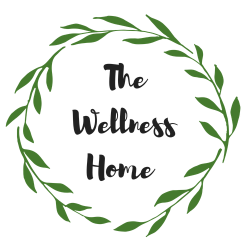 We believe that you have every right to a complete wellness home and alkaline environment and we have just the tools to help you! With Clean and Pure Air, Clean, Pure alkaline water, natural lighting and deep restful rejuvenating sleep. We have the total package right here at Beyond Eating Clean. So take care of yourself and start a wellness home for you and your family to enjoy. The Nikken KenkoAir Purifier combines superior technology with additional features, at a competitive price. The KenkoAir includes multiple filter stages, with an ultra low penetration air filter. ULPA technology is a breakthrough in air filtration — significantly more effective than a HEPA filter, the longtime standard for hospital operating rooms, microassembly clean rooms and nuclear laboratories. No other air filtration system matches this level of performance. The PiMag Waterfall® is certified to meet contaminant-reduction specifications of ANSI/NSF Standards 42 and 53 in reducing compounds including aesthetic chlorine, chloramine, mercury and volatile organic compounds. This level of performance is superior to filtration in other water systems that cost ten times the price, require electrical power and produce wastewater. The PiMag Waterfall adjusts water pH to help balance against a typical modern diet and lifestyle that can lead to excess acidity. Ionizing technology saturates water with electron-rich ions to neutralize free radicals, while pi ceramics and Nikken magnetic technology complete the process. The PiMag® Sport Bottle features a unique, patent-pending micro filter that meets or exceeds internationally recognized filtration standards. Proprietary Nikken PiMag® Water Technology combines a magnetic field that helps to reduce sediment agglomeration with features that add natural minerals and adjust pH value. The pillowcase is an ancillary product to the pillow. Complete your Kenko Sleep System with the Naturest Custom Pillowcase. Designed to fit standard-size pillows and the Naturest Custom Pillow, the Custom Pillowcase releases negative ions, and Nikken Far-Infrared Technology provides warm or cool temperature regulation that’s always just right. The Naturest Custom Pillowcase is finished in the same pattern as used in Kenko Dream and Kenko Dream Light Comforters, for a stylish matched look. The Kenko Dream® Light Comforter combines the latest advances in Nikken Kenko Dream® technology with a lightweight, all-season design. Nikken Magnetic Technology, with a network of strategically placed magnets, assists in providing the cocoon of magnetism that is part of Kenko Dream® innovation. Nikken Far-Infrared Technology and Ionic Comfort Technology are featured, as is the Chitocotton layer. The cover is a silky smooth, breathable fabric to help keep you cool on warm nights, cozy on cooler ones. The Kenko Dream® Light Comforter is light in weight but offers the technology you can expect from Nikken. A perfect balance of comfort for all climates, the Kenko Dream® Comforter can help you get the relaxing, refreshing sleep you need. Revolutionary technology and the finest materials allow better rest. The Kenko Dream® Comforter features Ionic Comfort Technology — an idea based on the negative ions found in soothing outdoor settings. Chitocotton, another innovation, contains chitosan. A magnetic layer completes the cocoon effect. Far-Infrared Technology is provided by ceramic-reflective fibers. The breathable cover is finished in an elegant, satiny weave that dresses up your bed.